1. Log into the Leads App management dashboard and go to the tab "Settings"
2. 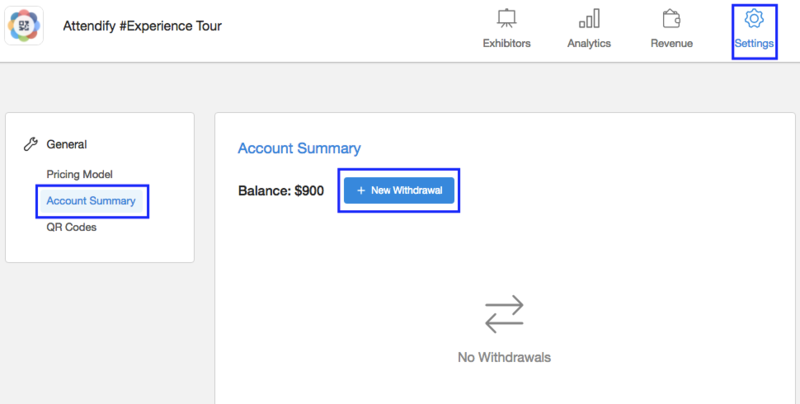 In the "Account Summary" section, click "+ New Withdrawal"
3. 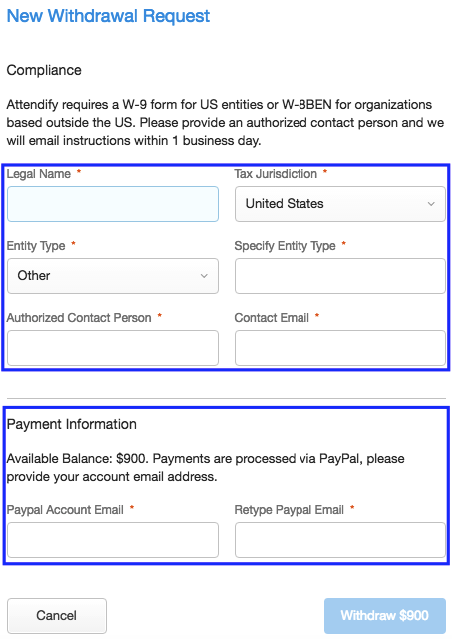 In the pop-up window fill out your company information and enter your PayPal account email address. 4. Click the button "Withdraw". 1) Pending - Withdrawal is still being processed. 2) Rejected - For some reason, your withdrawal was rejected. Contact our support for more details at support@attendify.com. 3) Date - Means that we have sent money to PayPal for final processing. NOTE: You cannot withdraw partial funds, only the entire balance at once.